Do not smoke or drink caffeine 30 minutes before you plan to take your blood pressure. Rest quietly for 5 minutes before starting. Sit with your feet flat on the floor, with your back and arm supported. Keep your arm at heart level. Apply the blood pressure cuff on a bare arm. Measure it twice in the morning and twice in the evening for 7 days before your doctor’s appointment (or after a change in medication). Try not to speak while taking your measurement. Helps your health care provider know how well it is controlled. Helps you track the progress of your treatment and lifestyle changes, if you’ve already been diagnosed with hypertension. Is a helpful reminder to stick to your treatment plan. 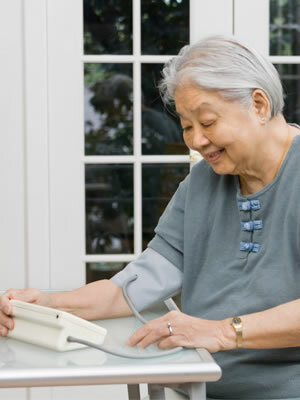 Which blood pressure device should you choose?